The relationship between Apple and Samsung has moved from "love-hate" to simply "hate-hate," according to a new report, which indicates that Apple is doing all it can to cut ties with its fierce rival. Though Apple still relies on Samsung for production of its mobile processors, the iPhone maker has apparently made it clear it will no longer use Samsung's technology, an unnamed senior official at the Korean electronics company said to The Korea Times. The report indicated that the relationship between Samsung and Apple is "now about to become one-dimensional." "There are three types of chip clients," the Samsung source reportedly said. "Some want us to handle everything from chip design, architecture and manufacturing. Some want us to just design and manufacture. Some wants us to just make the chips. Apple is now the third type." Samsung did reportedly earn more money for manufacturing the A6 processor for Apple's iPhone 5 than the company did from building earlier custom chips. But at the moment, Samsung is said to be the only semiconductor manufacturer in the world that can meet Apple's needs for high volume of chip production in a short period of time. Apple did not collaborate with Samsung in the development of the A6 processor found in the iPhone 5. 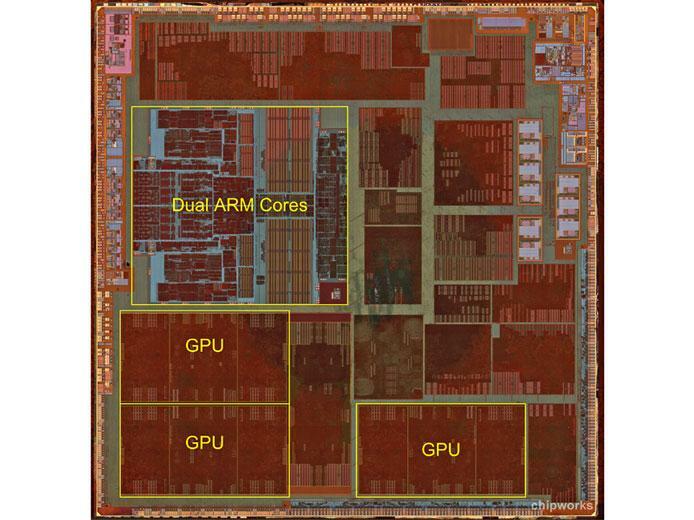 While Apple collaborated with Samsung in designing its earlier processors, the new A6 chip marks the first time Apple designed its own ARMv7 core. The details come soon after Apple was revealed to have hired away former Samsung chip designer Jim Mergard. Prior to his brief stint at Samsung, Mergard designed and developed chips for Advanced Micro Devices for 16 years. Another report last week also reiterated claims that Apple plans to have future chips built by Taiwan Semiconductor Manufacturing Co., taking away a key component from Samsung. It was said that TSMC could build quad-core 20-nanometer chips for Apple by as early as next year.